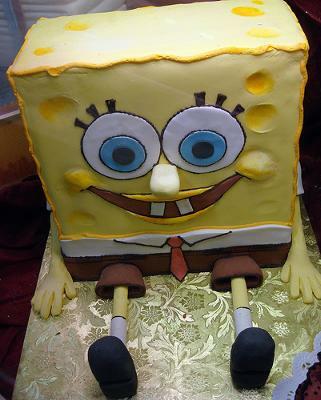 I just made a square cake and covered it all in yellow icing then I made the eyes by letting white icing set in a circle shape and added blue icing for the pupil. Next, I just added color where it is needed e.g. the tie was red the bottoms were brown ect. Then for the arms and legs i just made them out of icing sugar (with a piping kit) and stuck them on with white icing for the tops of the white shirt. Oh that is so cool!!!!! Now how did you do the sugar legs? I have no clue what you're talking about.